In a few weeks, Mater Dei High School senior and Youth Resources’ April Youth of the Month, Abbey Chapman, will see months of work and planning culminate with a five-hour dance party featuring many of her fellow students. 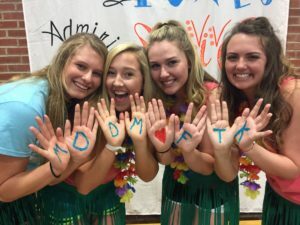 Mater Dei’s Dance Marathon is in its eighth year, and while the event is a lot of fun, its purpose is more important: to raise money for Riley Hospital for Children in Indianapolis. During her time at Mater Dei, Abbey has raised more than $1,500 for Riley. This year, she and Memorial High School student Samantha Pauli saw an opportunity to make an even greater impact by joining forces. They helped organize a Mater Dei/Memorial throwback-themed fundraiser dance following a basketball game in January. Abbey says Mater Dei’s student council plans to make the dance an annual tradition. 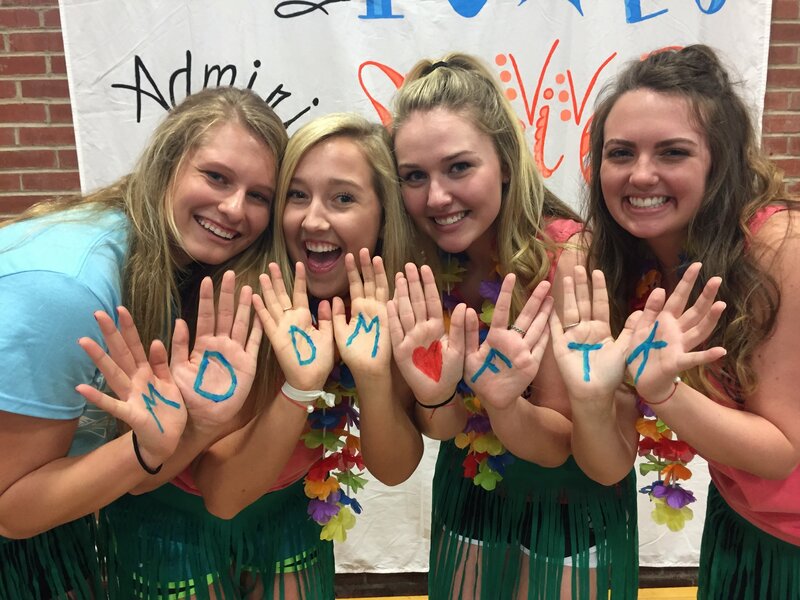 Though Mater Dei’s Dance Marathon (MDDM) is the most significant service project Abbey is part of right now, it’s far from the only one. 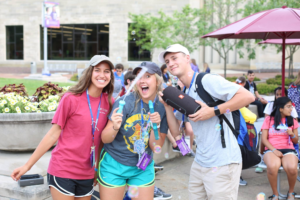 The senior class president and student council member is active in Youth Resources’ Teen Advisory Council (which requires members to complete 15 hours of service each semester) and is a member of TEENPOWER Youth Staff. She volunteers at Jacobs Village and the Dream Center, serves as a student ambassador at Westside Catholic School and takes on several other leadership roles at Mater Dei, including captain of the tennis team. She is also active at St. Boniface Catholic Church. “I am so proud of everything Abbey is and does. She is a joy to work with. She is well respected by her classmates, her teachers and school administrators. She is friendly, conscientious, and of great moral character. Our motto at Mater Dei is ‘Enter to learn. Go forth to serve.’ Abbey is the perfect example of both learning and serving,” said Mater Dei math teacher and student council advisor, Jeanne Thomas. 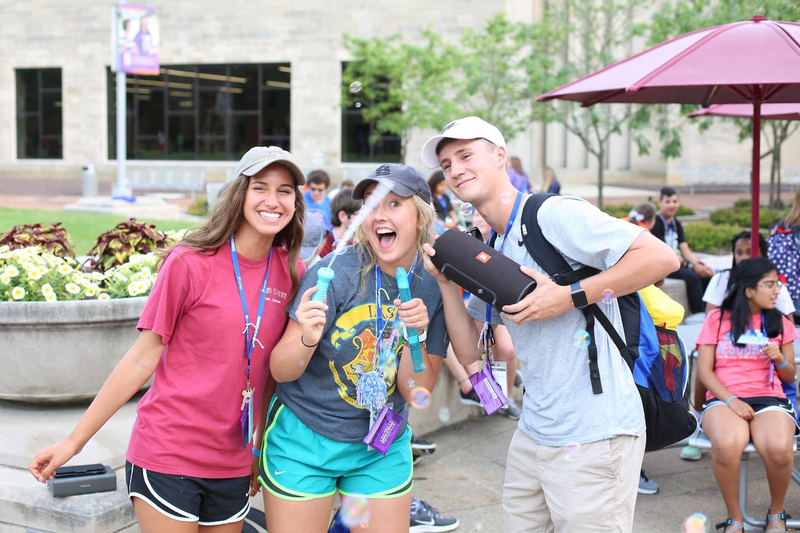 Abbey’s accomplishments and willingness to give back prompted her older brother, Jordan, who now lives in St. Louis, to nominate her for Youth of the Month. After graduation, Abbey will head to the University of Evansville to begin working toward a degree in physical therapy. With the importance she places on helping kids through MDDM, it may be no surprise that Abbey plans to specialize in pediatric physical therapy. She also wants to continue serving the community through involvement at UE and Youth Resources. Abbey would love your support as she prepares for Mater Dei’s Dance Marathon on April 20. You can make a contribution by clicking here. 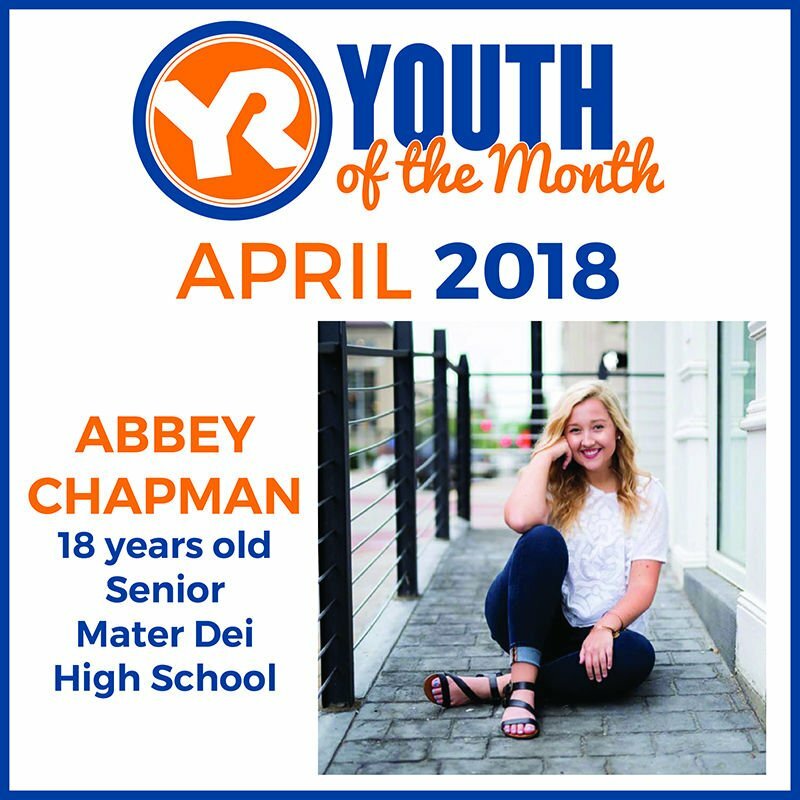 Abbey’s recognition as Youth of the Month qualifies her as a 2019 Youth Resources’ Youth of the Year candidate. The Youth of the Year is named at Youth Resources’ Hall of Fame Celebration.